Mindfulness has become a great international trend. Here are just five of the top mindful countries in the world. What makes a country “mindful?” Low stress levels, a peaceful society, a great work-life balance, and excellent quality of life for the citizens are just a few necessities for a mindful country. Fortunately, organizations like Vision of Humanity, the Legatum Prosperity Index, and the Organization for Economic Co-operation and Development have compiled this data from countries around the world. And in these various indexes there are always a few countries that consistently come up on top. Sweden is known for it’s green culture, recycling, and expanding renewable energy. 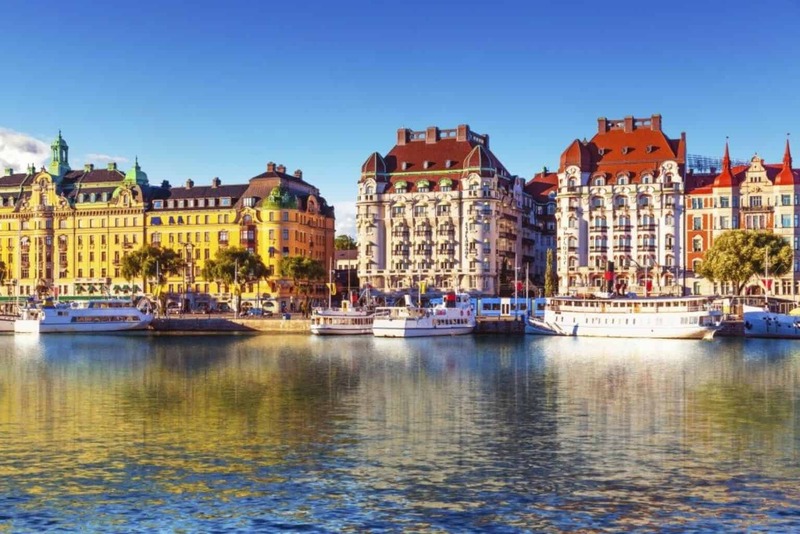 According to the Vision of Humanity’s Global Peace Index, Sweden ranks as the ninth most peaceful country in the world. This is because of the country’s low instances of violent crimes, political instability, and conflicts. Sweden is also the fourth least stressed-out country in the world. According to the Legatum Institute’s Prosperity Index, Switzerland ranks as the second most prosperous country in the world. This is due to the country’s low occurrence of political corruptness and growing economy. Switzerland is also number four on Bloomberg’s Healthiest Countries list. The life expectancy is 82.7 years (12 years over the international average). They also have a low infant mortality rate (four per 1,000 compared to the international average of 27.3 per 1,000). Bloomberg listed this country, which is known for its Viking history and the beautiful fjords, as the least stressed-out country in the world. This is partially due to the country’s 3.1 percent unemployment rate and low annual homicide rate (0.6 per 100,000). Norway also ranks as the most prosperous country in the world on Legatum Institute’s Prosperity Index. This is due to the country’s thriving economy, laws that ensure personal freedom, and quality of health. Besides its windmills and pastries, Denmark is an example for its peaceful society. The Vision of Humanity’s Global Peace Index ranked Denmark the second most peaceful country out of the162 countries studied. This is due to their low incidents of violent crimes, conflict, and weapon access. Denmark also ranks number one in terms of work-life balance by the Organization for Economic Co-operation and Development (OECD). This is because only two percent of Denmark workers work long hours, which is lower than the nine percent international average. Full-time workers from Denmark devote over 16 hours of their day to personal time, which is higher than the average American worker. Known for the Keukenhof Gardens and Amsterdam canals, Netherlands is number four in work-life balance according to OECD. This is because people in the Netherlands work 1,381 hours a year, that’s 384 hours less than the average and 400 less than the average American. The Netherlands also ranks number eight on Cigaglobal’s healthy countries list. This is because of the Netherlands long life expectancy (81 years) and other health criteria.